I remember Henry from the early 1960s, my dad’s dashing brother, who never married, but whenever he visited, arrived on or in interesting machinery. My first ride on a bike was on his Vincent Comet and then on a legendary Black Shadow. A Mini Cooper was thrilling, even more so, a Cooper S.
We moved to Australia, but news came occasionally of the succession of Lotus, Porsche and latterly turbocharged Nissans of the Silvia and Skyline variety. I was pleased to receive, as part of a modest inheritance from Henry, a packet of photos, reproduced here. 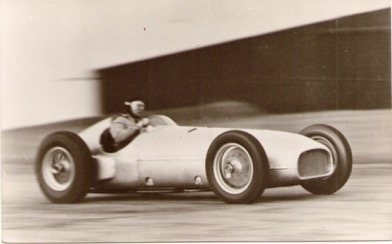 They are obviously very early BRM shots, which I had never seen before. I thought they may have been taken by him as a young man, but 2 of them appear elsewhere on the interweb, so I can only assume they are part of a postcard pack, or press pack. I would date them around 1950/51. 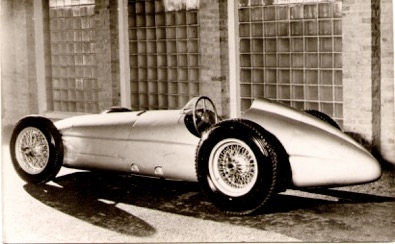 I have always had a fascination with the BRM. 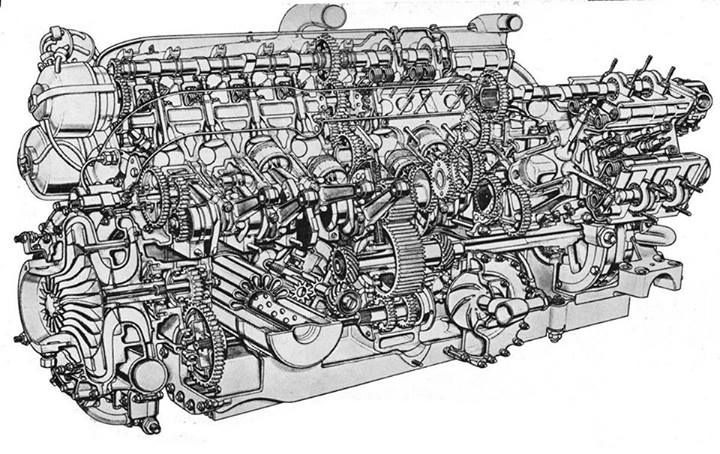 It has been written about extensively, so I can only add my personal take on this machine. 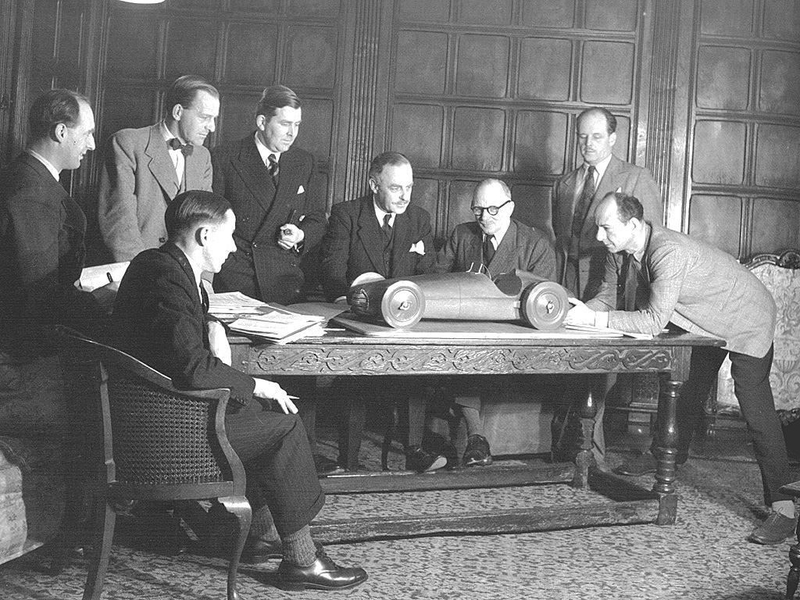 Mark Hales described it as like ‘The Victorians trying to build a moon rocket, and they very nearly succeeded’. 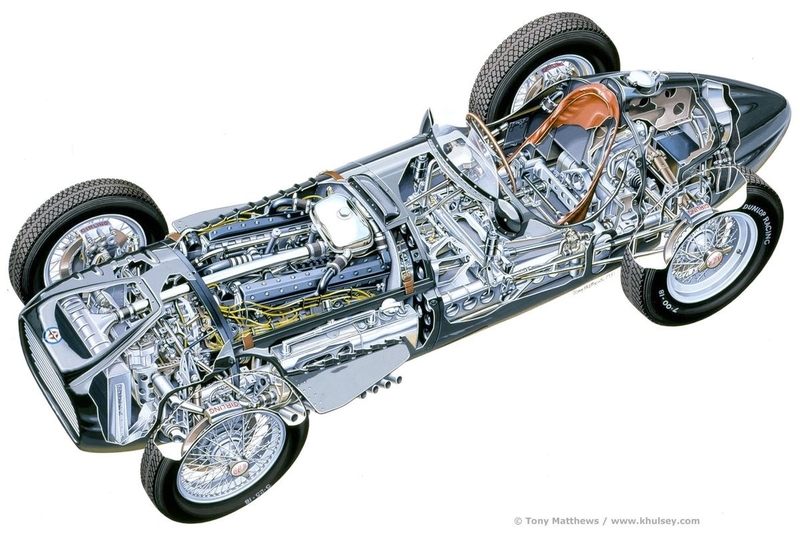 16 cylinders, each of less than 100cc, highly supercharged, spinning at 12,000 rpm, air suspension, disc brakes, with all this componentry, supplied by dozens of different companies, motivated to show ‘Johnny Foreigner’ that British engineering was still the best in the world. 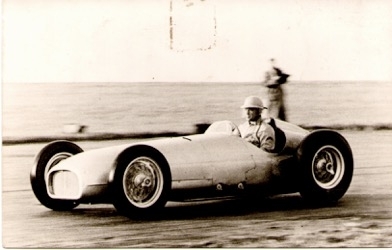 Inevitably, when there are so many suppliers involved, with so many radical parts, the project was delayed, time and time again, until the great day when the car had its first race start. It travelled about 3 feet, after breaking an axle at the start. The cars were extensively sorted over 3 years before they became reliable. 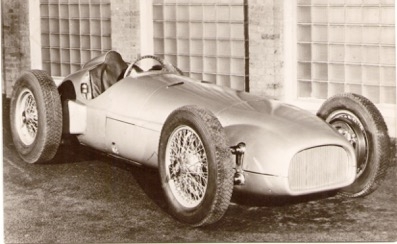 Exhausts changed from full length, to in front of rear wheels, to stubs behind the front wheels. Radiator intakes increased and decreased, oil cooling and filtration revised, nearly every part was altered and changed. When some cars were being properly restored during the 90s, the original dyno shed was discovered, and on the walls were all the different firing orders tried. I don’t know that the final order used was ever identified. Of course there is the sound. I don’t know if it is the greatest sound in the automotive world, but it has to be in the running. 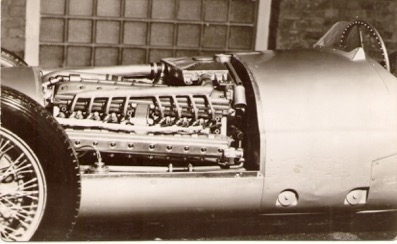 I played a recording of the BRM to an engineering colleague, who makes drag racing engines. 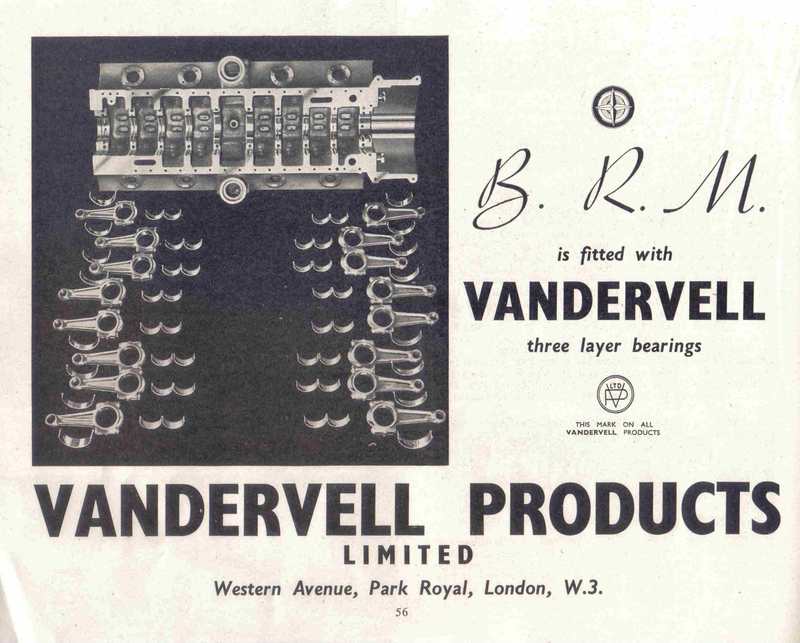 He thought the BRM sounded like an extremely angry Funny Car, and took some persuading to be convinced that all that fury came from only 1500 cc. 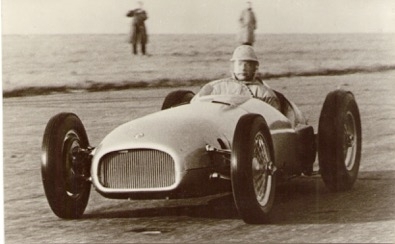 None of the drivers really liked the car, as it was unreliable and difficult. 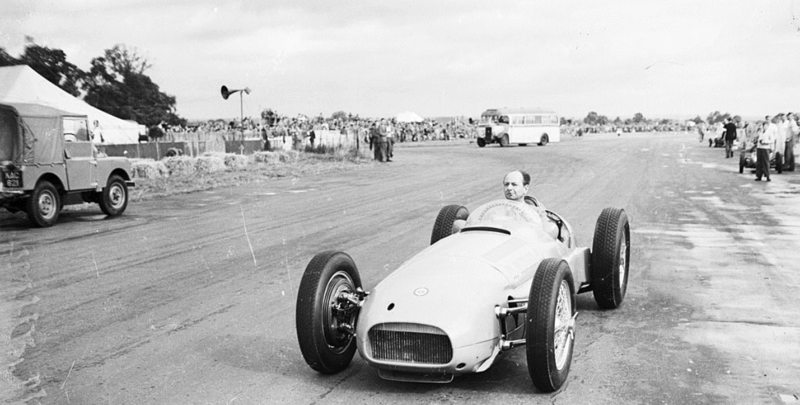 So the cars were ultimately irrelevant, only winning races in Formula Libre after time ran out for them when F1 changed to the unsupercharged 2 litre formula. 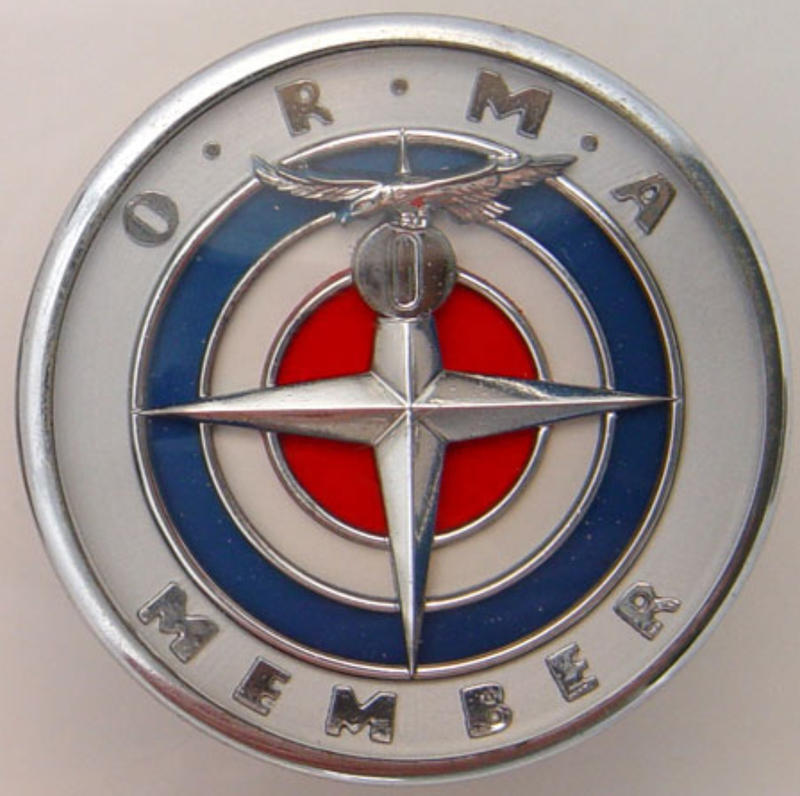 The world is a better and more interesting place for the BRMs having been made. 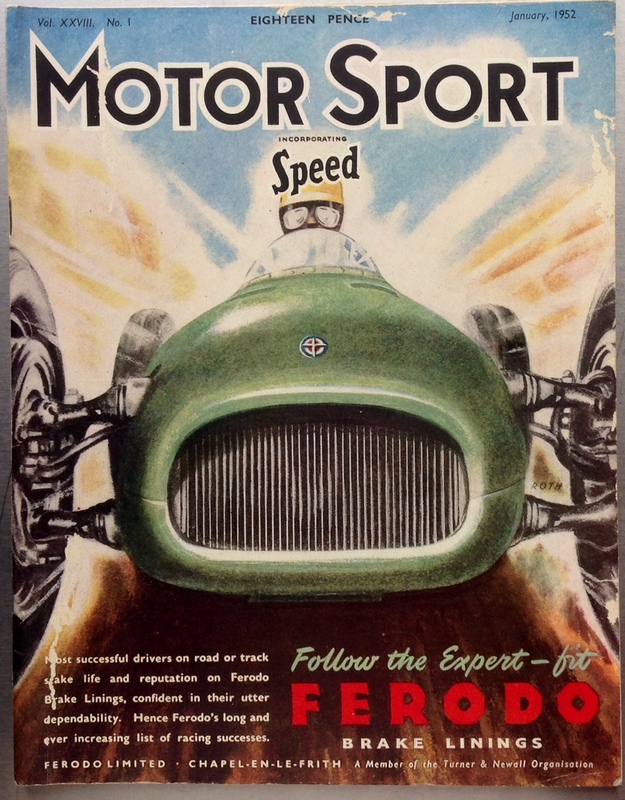 It would be unlikely to happen today, as the risks were far too high, but they were, like so many of the automotive and other objects that we so treasure, a delightful folly. 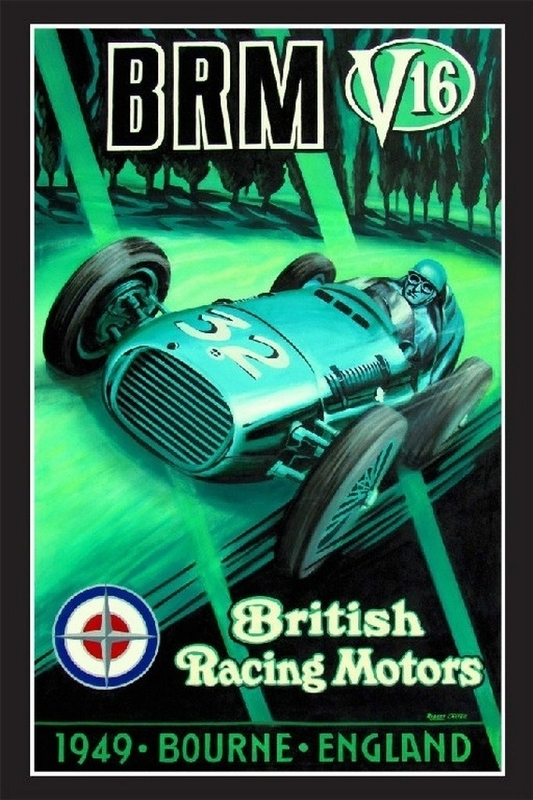 The recording is of Nick Mason’s BRM in 1998, driven by Mark Hales, from ‘Into the Red’. 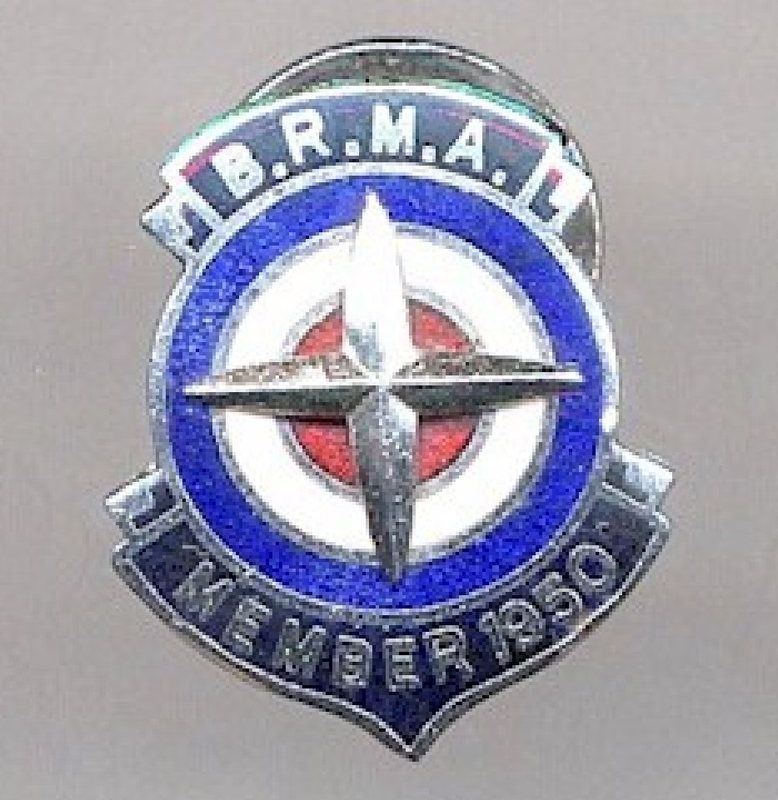 Scratchy ‘BRM Association’ lapel badge.